Sortation Founded in 1973 by three members of the Franzia family, Bronco Wine Company is a family-owned winery committed to growing, producing and selling the finest quality wines of the highest value to their customers. Bronco Wine Company's diverse family of brands is sold in over 90 countries worldwide in addition to being distributed throughout the United States. Bronco Wine Company has become a major vintage varietal wine source to the California wine industry and is currently recognized as the fifth largest winery and the largest vineyard owner in the United States. 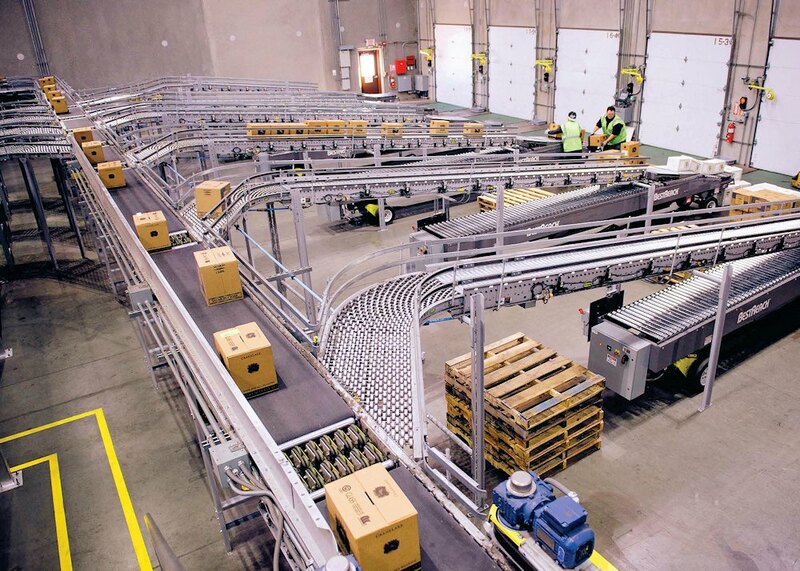 In 2013, Bronco wine recognized a dire need to update their California distribution center (DC) operation and order processing systems to meet growing customer demands in addition to moving their facility to a more technologically advanced arrangement. Doing this would theoretically increase productivity and reduce the instance of errors in product being shipped. With the construction planned and underway of a new 8-dock door DC on the property in Ceres, CA, Bronco brought in the team at FloStor Engineering, Inc. to help accomplish this goal. Pick-Line The team at FloStor faced a few unique challenges in implementing a modernized picking system at Bronco Wine. Firstly, Bronco desired the new system to allow for loading multiple trucks in reverse route order. The existing operation had 32-routes needing to be loaded every night off of a single conveyor; time constraints were a real issue for Bronco. Secondly, the real estate available for the new system was limited in size due to the Bronco's desire to build a columnless DC. Three Level Pick Module FloStor was tasked with providing a solution that packed a ton of functionality into a limited amount of space. There would be no room available for staging orders and loading would need to be done dynamically or "on the fly." Lastly, Bronco requested that picking be done solely by sku as opposed to using unique identifiers. 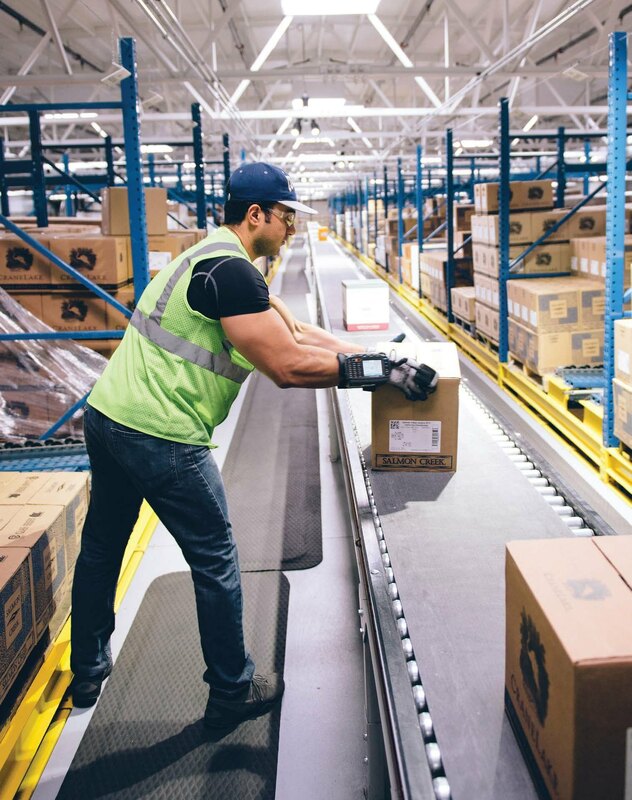 A new warehouse management system (WMS) was implemented to allow Bronco to streamline order downloads, minimize picking errors and enhance inventory control. In Bronco's existing system, picking was done via pick-by-paper and utilizing a single line roller conveyor. It would take about 12-hours to move 3,000 cases through the DC. This would often cause delays in getting drivers on the road, plus provided for less than perfect accuracy checks along the system. Three Level Pick Module The new system consists of a three level pick-module with pickers using radio frequency barcode readers (RF Device) synced with the warehouse management system, sorting product to one of six fluid load truck lanes and one of three manual palletizing lanes which now allows for the loading of nearly six thousands cases in a five hour period. A dramatic increase in throughput. The three level pick-module incorporates two storage media types. 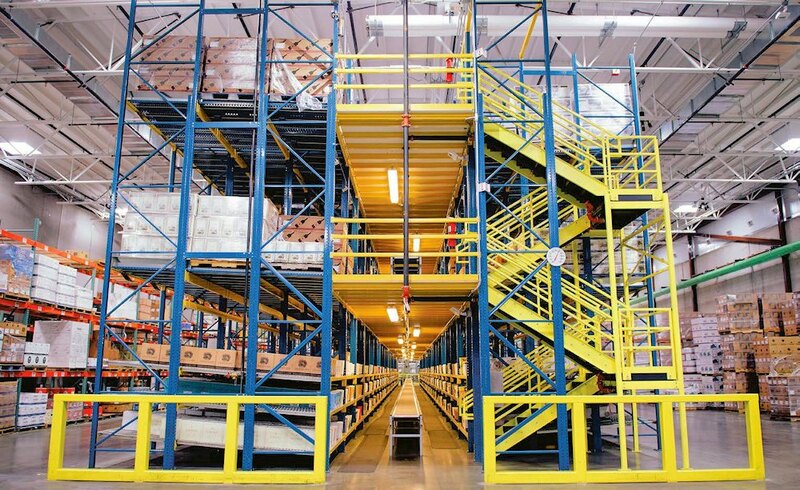 The bottom level consists of case flow lanes and the second and third levels are pallet flow lanes. 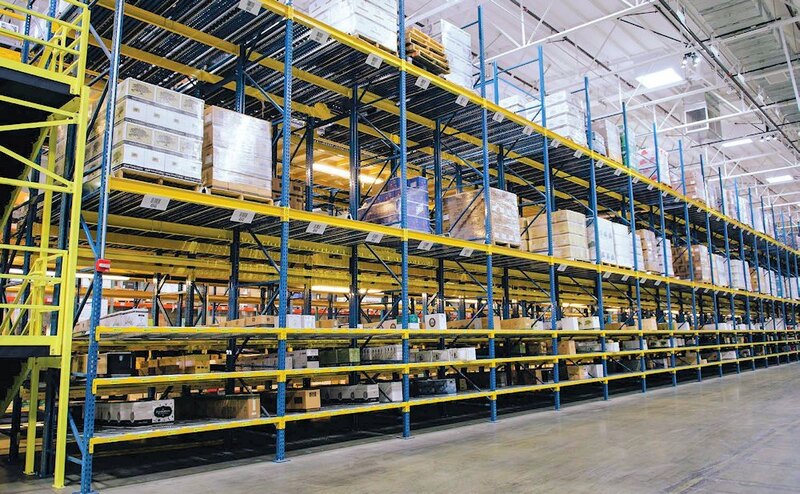 The combination of these two types of storage have allowed Bronco to store the majority of their sku's in one area, thus greatly minimizing replenishment hours. Prior to the new DC, Bronco was picking one route at a time. Today they are picking nine routes at once and finishing in an average of five to six hours what used to take 12. 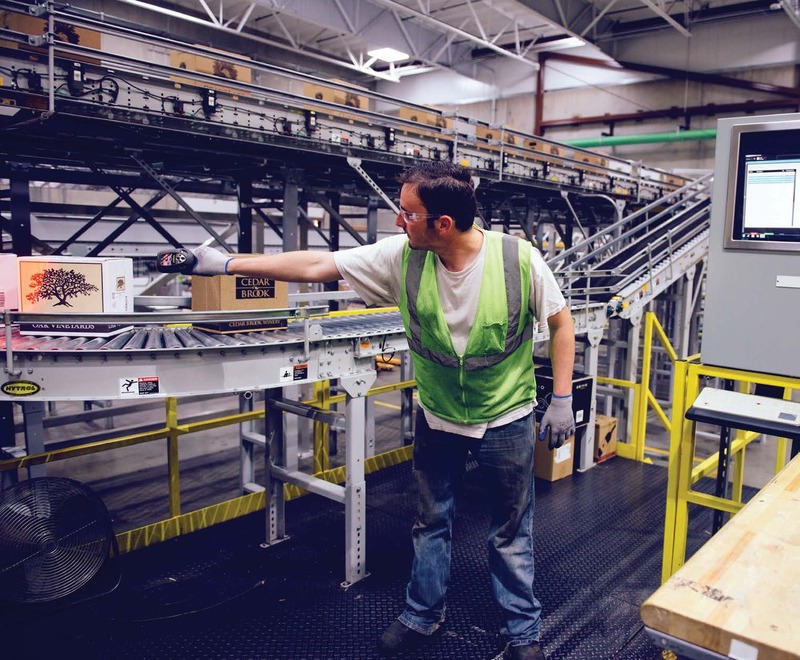 Once all orders have been entered for the day, the new warehouse management system (provided by INVAR Systems) verifies the needed product is available in the pick-module and sends a notification that picking may begin. There is one designated picker per level with a floater who moves from level to level based on volume demands. The picker consults his RF Device which indicates which case to pick and place on the belt conveyor. 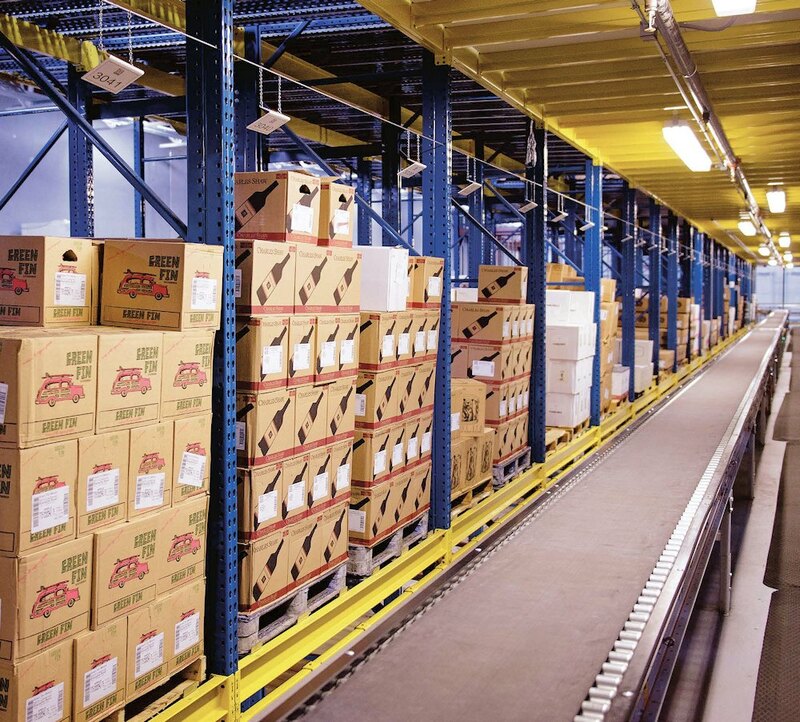 To accommodate the necessary reverse order loading of trucks, the warehouse management system balances the picking flow between levels in order to maximize the reverse stop loading sequence. Cases are moved from the first and second level of the pick-module via a belt spiral conveyor and merge with the third level cases. All cases are then routed to a sawtooth merge which also includes the sorter's recirculation line and a "jackpot" induction line. 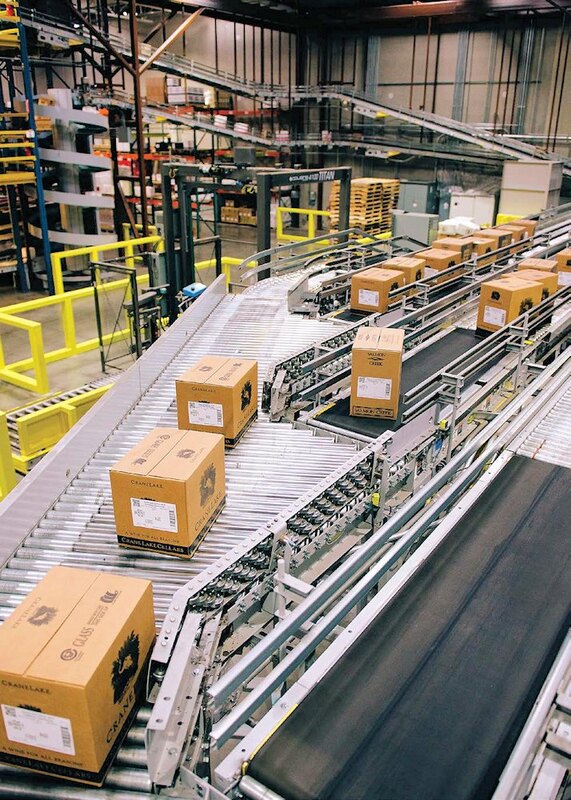 Cases exiting the sawtooth merge move along a series of belt conveyors which gap the cases so the barcode readers can accurately read each product sku label. Once read, the cases are then presented onto the sorter which tracks each case to its right destination and confirms delivery to the new WMS. This accuracy check was critical to the success of the new system. 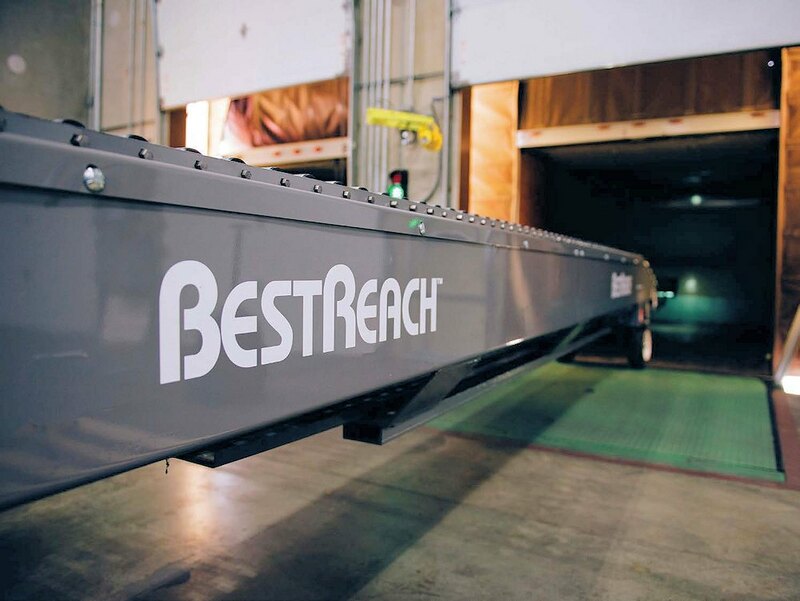 Six fluid loading lanes utilize extendable truck loaders which convey cases into the delivery trucks, facilitating Bronco's required reverse stop loading process. 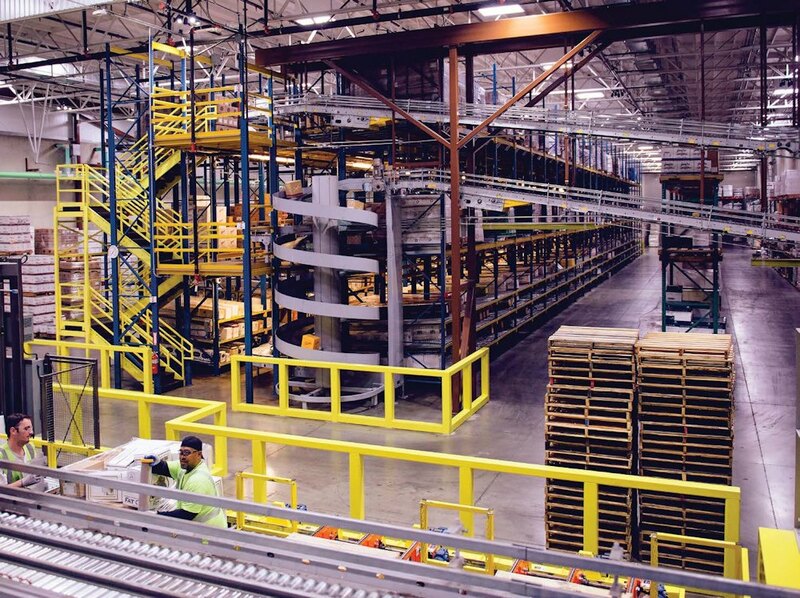 The new system also incorporated three manual palletizing stations. Empty pallets are automatically delivered to each workstation where the operator loads cartons onto the pallet. To enhance the ergonomics of the manual palletizing stations, each station has been fitted with a hydraulic lift table to allow the operator to position the height of each pallet to facilitate ease and speed of loading. Once the pallet is complete, the finished pallets are delivered to an automatic stretch wrapper to be secured for shipping and then on to a station for fork lift removal. Each pallet station includes a PC workstation that is interfaced with the new WMS. This workstation provides the operator with "real-time" status of the order being palletized and also provides the means for the operator to print a pallet manifest. Loading With the implementation of the new system, throughput has significantly increased without adding labor hours. The new system utilizes belt conveyors which has reduced breakage loss considerably, as the old roller conveyors were more prone to case creep, causing cases of wine to fall off the conveyor and break. Jackpot Lane With the increased speed of order fulfillment, Bronco has now been able to extend their sales window, providing their sales force the opportunity to sell and ship more product to customers, creating a better service model and gain a greater return on their original capital investment. Order accuracy has increased to 99.8% and Bronco Wine is now able to consistently get drivers on the road on time, meeting delivery objectives and providing exceptional customer service.